As Gameweek 6 comes into view, I take a look back at what has transpired the first 5 weeks in the EPL. For me, it’s been a strong start to the FPL season, while my overall score doesn’t tell the entire story, I carry a confident feeling into this weekend’s action. It was decided early in pre-season I was going to play an unconventional formation, after reading Firetog’s article, In Search Of The Best Fantasy Football Formation. This was the point in time I decided I was going to start a 5-man defense to begin the season. As summer rolled on, with the transfer window in full effect I began concentrating my efforts on a 5-3-2 formation, with two options. Neither of those options materialized, as 2 hours before the start of the EPL season I made a rash decision to move Lukaku out, scrap the 5-3-2 and changed my strategy with a 5-2-3, which included Kane, Firmino and Jesus up front. While we know the outcome of not owning Lukaku and the August woes of Kane this article brings into focus the struggles with the captain’s armband. Being the highest owned player in the FPL, it was no surprise that Lukaku topped the captaincy charts weekly. While many have moved Kane in favor of more “in form” forwards, I have continued to show support for him, based on the outstanding underlying statistics. Without knowing any other information, the only captain that seems out of place is the armband on Firmino, away to City in GW4. All the rest would appear to be quality captain selections. Based more on how players like KDB and Kane finished the 2016/2017 season, there was little to discourage fantasy managers from tapping these players not have success early this season. I can hear many already saying, “yeah, but Harry Kane can’t score in August.” Sure, it’s been documented that Kane hasn’t performed well in August. Couple that with the fact that Spurs are playing their home fixtures at the larger, Wembley Stadium. I chose to ignore both factors and include Kane in my starting XI. That’s an 18 point difference from Lukaku (non-captained points). Mistake? Sure, but that’s and article for another time. Captain points have been tough to come by to date. Through 5 gameweeks my selections, as well as that by many other fantasy mangers, has yielded just 18 points (that’s a paltry 3.6 points/armband) or 6.9% of my overall score. The vice-captain selections haven’t fared much better, just 2 points better. Looking at each individual gameweek doesn’t reveal much when it comes to the “better” options when deciding on the armband. The first week of the season it came down to four options, KDB, Jesus, Firmino or Kane. In my GW1 Retrospect I wrote, “To start this season, the armband was on Lukaku before I transferred him, handing the captaincy to Kane, who was listed in many polls as the second choice option. If I would have held steady and not moved Lukaku I would have finished 25 point higher.” Yet, moving Lukaku saw me change the formation from a 5-3-2 to a 5-2-3 in order to spend bigger on defense. Spurs were facing newly promoted Newcastle, the match up appeared favorable, unfortunately Kane was yellow carded, but played 90 minutes and scored just 2 points. The following week, I moved from Kane as Spurs were home to Chelsea and didn’t like the match up. While Man City didn’t have a very impressive 2-0 win over Brighton to open then season, the captain selection came down to a shorter list; KDB, Jesus and Firmino. Backing City, I selection KDB. GW2 Retrospect read, “Some reports of KDB playing deeper, allowing David Silva a more advanced position could shed a negative light on his potential, especially at £10.0. Returns of 3 and 4 (as I captained him in GW2) doesn’t bode well with the likes of Pogba, Mkhitaryan, Eriksen and Alli outplaying KDB at a cheaper price.” De Bruyne did not return wearing the armband and finished the game with 4 points. Gameweek 3 had the makings of Spurs explosion, home to Burnley, who struggled on the road last season. In the Starting XI article I wrote, “Heading into GW3, with a Spurs double (Eriksen & Kane) home to Burnley, I feel confident big returns are possible from Wembley.” At this point, even with the August struggles I continue to back Kane wearing the armband. With City not posting big scores and Liverpool home to Arsenal, I played the favorable match up. The retrospect reflected, “Captained again, he failed to return, but much like the previous two weeks, he had solid underlying stats. Not sure how much longer I can continue to promote this point and have with him in my starting XI.” Yet, here we are heading into Gameweek 5 and I am struggling to move away from Kane. Firmino surprisingly posted 12 points this gameweek. After failing to return two of the first three weeks, I changed gears and handed Robert Firmino the armband away to City. Chalk this up to stupidity, as I talked myself into Firmino and out of Kane as the week progressed. Thanks Twitter! No Vincent Kompany meant a weaker City defense, but that wasn’t the case, as City spanked a 10-man Liverpool, 5-0. Firmino left the game on 66 minutes and didn’t return. This, the first weekend in September and Kane broke duck for the brace! Too bad he was my vice-captain, as this should have been my first big haul with him wearing the arm band. Jesus also posted a brace, but I didn’t really consider him with, as I favored Liverpool to defeat City. Being the glutton for punishment I am, I moved back to Kane for GW5, home to Swansea. Again, statistics in favor of Harry, underlying stats excellent, he couldn’t finish and the match ended in a scoreless draw. After GW4, I wrote, “Kane appears to have the August “Hoodoo Voodoo” behind him and will look to get on track to his third Golden Boot this weekend, away to Everton. Backed by ungodly statistics, I continue to have faith in Kane putting up big numbers.” Firmino and Jesus again, were considerations but I am mesmerized by Kane. Much like last year with Sanchez, I did not want to get caught moving Kane in and out of my lineup, so I decided to hold steady and keep the armband on him. For the week, it was another no return, just 4 points. Bad luck? Bad decision making? Probably a bit of both. Interesting to consult FPL Statistico for some data. 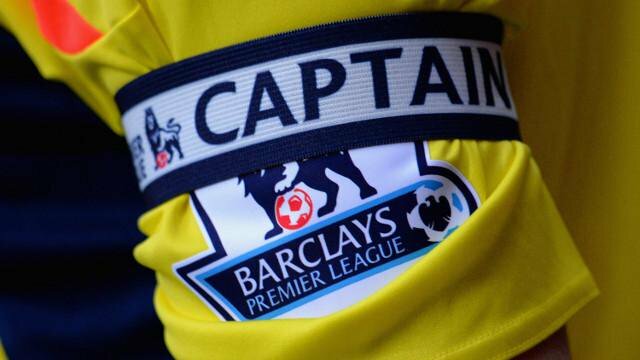 If I always captained my vice-captain, I would have score 40 points (an improvement of 22 points). After 5 weeks I would be on 273 points if I had captained the highest scorer between the captain and vice-captain. However if I captained the player with the most points each week on my squad, I would be on 310 overall points, which would put me in the top 58k. Luck continues to play a factor in fantasy football. Not all managers get a sniff during the season, but a bit of luck can go a long way in your fantasy football season.